The EPJ Research Room: Do You Hate the State? I have been ruminating recently on what are the crucial questions that divide libertarians. 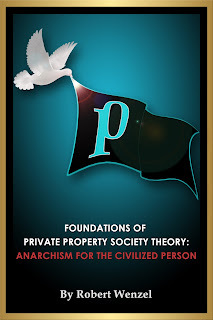 Some that have received a lot of attention in the last few years are: anarcho-capitalism vs. limited government, abolitionism vs. gradualism, natural rights vs. utilitarianism, and war vs. peace. But I have concluded that as important as these questions are, they don't really cut to the nub of the issue, of the crucial dividing line between us. Let us take, for example, two of the leading anarcho-capitalist works of the last few years: my own For a New Liberty and David Friedman's Machinery of Freedom. Superficially, the major differences between them are my own stand for natural rights and for a rational libertarian law code, in contrast to Friedman's amoralist utilitarianism and call for logrolling and trade-offs between nonlibertarian private police agencies. But the difference really cuts far deeper. There runs through For a New Liberty (and most of the rest of my work as well) a deep and pervasive hatred of the State and all of its works, based on the conviction that the State is the enemy of mankind. In contrast, it is evident that David does not hate the State at all; that he has merely arrived at the conviction that anarchism and competing private police forces are a better social and economic system than any other alternative. Or, more fully, that anarchism would be better than laissez-faire, which in turn is better than the current system. Amidst the entire spectrum of political alternatives, David Friedman has decided that anarcho-capitalism is superior. But superior to an existing political structure which is pretty good too. In short, there is no sign that David Friedman in any sense hates the existing American State or the State per se, hates it deep in his belly as a predatory gang of robbers, enslavers, and murderers. No, there is simply the cool conviction that anarchism would be the best of all possible worlds, but that our current set-up is pretty far up with it in desirability. 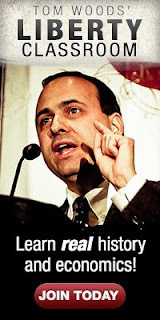 For there is no sense in Friedman that the State — any State — is a predatory gang of criminals. The same impression shines through the writing, say, of political philosopher Eric Mack. Mack is an anarcho-capitalist who believes in individual rights; but there is no sense in his writings of any passionate hatred of the State, or, a fortiori, of any sense that the State is a plundering and bestial enemy. Perhaps the word that best defines our distinction is "radical." Radical in the sense of being in total, root-and-branch opposition to the existing political system and to the State itself. Radical in the sense of having integrated intellectual opposition to the State with a gut hatred of its pervasive and organized system of crime and injustice. Radical in the sense of a deep commitment to the spirit of liberty and antistatism that integrates reason and emotion, heart and soul. Furthermore, in contrast to what seems to be true nowadays, you don't have to be an anarchist to be radical in our sense, just as you can be an anarchist while missing the radical spark. I can think of hardly a single limited governmentalist of the present day who is radical — a truly amazing phenomenon, when we think of our classical-liberal forbears who were genuinely radical, who hated statism and the States of their day with a beautifully integrated passion: the Levellers, Patrick Henry, Tom Paine, Joseph Priestley, the Jacksonians, Richard Cobden, and on and on, a veritable roll call of the greats of the past. Tom Paine's radical hatred of the State and statism was and is far more important to the cause of liberty than the fact that he never crossed the divide between laissez-faire and anarchism. And closer to our own day, such early influences on me as Albert Jay Nock, H.L. Mencken, and Frank Chodorov were magnificently and superbly radical. Hatred of "Our Enemy, the State" (Nock's title) and all of its works shone through all of their writings like a beacon star. So what if they never quite made it all the way to explicit anarchism? Far better one Albert Nock than a hundred anarcho-capitalists who are all too comfortable with the existing status quo. Where are the Paines and Cobdens and Nocks of today? Why are almost all of our laissez-faire limited governmentalists, plonky conservatives, and patriots? If the opposite of "radical" is "conservative," where are our radical laissez-fairists? If our limited statists were truly radical, there would be virtually no splits between us. What divides the movement now, the true division, is not anarchist vs. minarchist, but radical vs. conservative. Lord, give us radicals, be they anarchists or no. To carry our analysis further, radical anti-statists are extremely valuable even if they could scarcely be considered libertarians in any comprehensive sense. Thus, many people admire the work of columnists Mike Royko and Nick von Hoffman because they consider these men libertarian sympathizers and fellow-travelers. That they are, but this does not begin to comprehend their true importance. For throughout the writings of Royko and von Hoffman, as inconsistent as they undoubtedly are, there runs an all-pervasive hatred of the State, of all politicians, bureaucrats, and their clients which, in its genuine radicalism, is far truer to the underlying spirit of liberty than someone who will coolly go along with the letter of every syllogism and every lemma down to the "model" of competing courts. Taking the concept of radical vs. conservative in our new sense, let us analyze the now famous "abolitionism" vs. "gradualism" debate. The latter jab comes in the August issue of Reason (a magazine every fiber of whose being exudes "conservatism"), in which editor Bob Poole asks Milton Friedman where he stands on this debate. Freidman takes the opportunity of denouncing the "intellectual cowardice" of failing to set forth "feasible" methods of getting "from here to there." Poole and Friedman have between them managed to obfuscate the true issues. There is not a single abolitionist who would not grab a feasible method, or a gradual gain, if it came his way. The difference is that the abolitionist always holds high the banner of his ultimate goal, never hides his basic principles, and wishes to get to his goal as fast as humanly possible. Hence, while the abolitionist will accept a gradual step in the right direction if that is all that he can achieve, he always accepts it grudgingly, as merely a first step toward a goal which he always keeps blazingly clear. The abolitionist is a "button pusher" who would blister his thumb pushing a button that would abolish the State immediately, if such a button existed. But the abolitionist also knows that alas, such a button does not exist, and that he will take a bit of the loaf if necessary — while always preferring the whole loaf if he can achieve it. It should be noted here that many of Milton's most famous "gradual" programs such as the voucher plan, the negative income tax, the withholding tax, fiat paper money — are gradual (or even not so gradual) steps in the wrong direction, away from liberty, and hence the militance of much libertarian opposition to these schemes. His button-pushing position stems from the abolitionist's deep and abiding hatred of the State and its vast engine of crime and oppression. With such an integrated worldview, the radical libertarian could never dream of confronting either a magic button or any real-life problem with some arid cost-benefit calculation. He knows that the State must be diminished as fast and as completely as possible. Period. And that is why the radical libertarian is not only an abolitionist, but also refuses to think in such terms as a Four Year Plan for some sort of stately and measured procedure for reducing the State. The radical — whether he be anarchist or laissez-faire — cannot think in such terms as, e.g., "Well, the first year, we'll cut the income tax by 2 percent, abolish the ICC, and cut the minimum wage; the second year we'll abolish the minimum wage, cut the income tax by another 2 percent, and reduce welfare payments by 3 percent, etc." The radical cannot think in such terms, because the radical regards the State as our mortal enemy, which must be hacked away at wherever and whenever we can. To the radical libertarian, we must take any and every opportunity to chop away at the State, whether it's to reduce or abolish a tax, a budget appropriation, or a regulatory power. And the radical libertarian is insatiable in this appetite until the State has been abolished, or — for minarchists — dwindled down to a tiny, laissez-faire role. Many people have wondered: Why should there be any important political disputes between anarcho-capitalists and minarchists now? In this world of statism, where there is so much common ground, why can't the two groups work in complete harmony until we shall have reached a Cobdenite world, after which we can air our disagreements? Why quarrel over courts, etc. now? The answer to this excellent question is that we could and would march hand-in-hand in this way if the minarchists were radicals, as they were from the birth of classical liberalism down to the 1940s. Give us back the antistatist radicals, and harmony would indeed reign triumphant within the movement.